Our Tenant Satisfaction Survey has started and will end on Friday 23 February 2018. 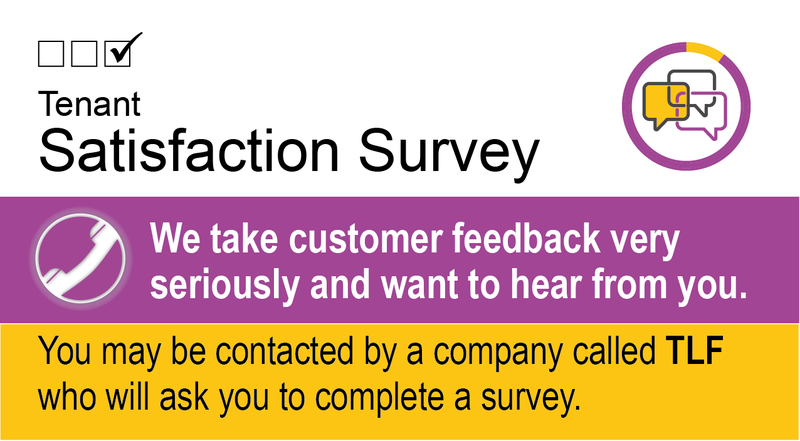 Customer experience specialists, TLF, are calling a representative sample of tenants to gather your views on the service you receive from us. If you do receive a call from TLF, please be assured that we have employed them to complete the survey on our behalf. This ensures that your feedback is anonymous if you wish. being easy to deal with.